Elizaveta is princess of Kiev, but that doesn't stop her chasing adventure. Defying conventions, she rides the rapids of the Dneiper alongside her royal brothers and longs to rule in her own right as a queen. Elizaveta meets her match when the fearsome Viking warrior Harald Hardrada arrives at her father's court seeking fame and fortune. He entrusts Elizaveta to be his treasure keeper, to hold the keys to his ever-growing wealth - and eventually to his heart. A man other than my husband sits on England's throne today. What would happen if this king suddenly went mad? What would his queen do? Would she make the same mistakes I did, or would she learn from mine? Margaret of Anjou, queen of England, cannot give up on her husband - even when he slips into insanity. And as mother to the House of Lancaster's last hope, she cannot give up on her son - even when England turns against them. This gripping tale of a queen forced to stand strong in the face of overwhelming odds is, at its heart, a tender tale of love. Award-winning author Susan Higginbotham will once again ask listeners to question everything they know about right and wrong, compassion and hope, duty to one's country, and the desire of one's own heart. 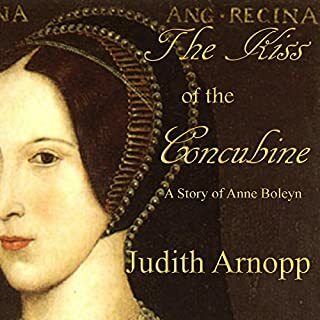 "With most of her life behind her, Margaret d'Anjou, deposed queen of England, recounts her life story from 1444 to her marriage to King Henry VI, focusing on her dealings with a country that despised her. 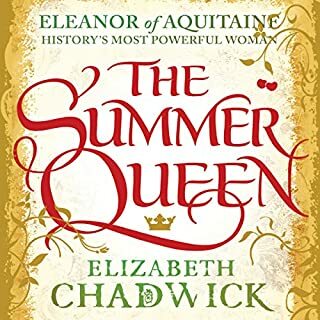 Nicole Quinn's low-key delivery and elegant voice are ideal for sharing the fears and delights of the 14-year-old who leaves France to become England's queen for the purpose of cementing relations between the two countries. 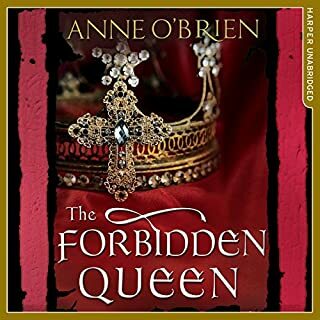 Quinn's accents are subtle and flawless, and she fully captures court intrigues and romances as well as Margaret's bitterness and dismay when the king becomes incapacitated. Although her men's voices tend to be gruff and whispery, all her characters remain credible. 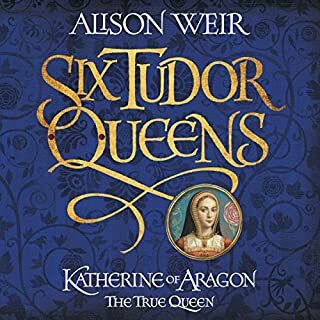 Susan Higginbotham offers a new look at the War of the Roses, and Quinn's performance is engaging. S.J.H. © AudioFile 2013, Portland, Maine [Published: JULY 2013]"
Would you listen to The Queen of Last Hopes again? Why? I would happily listen to this again. This adds the gentle hand of compassion for a woman who was slandered for political gain. It adds a narrative not often explored within the genre. What other book might you compare The Queen of Last Hopes to, and why? 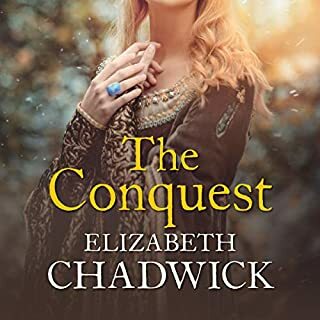 I would Compare this to "The Stolen Crown" By Susan Higginbotham, both protagonists are handled sensitively although they represent opposing sides of the "war of the roses". We are never plunged into petty malicious nonsense that some authors are partial to. It was so delicately handled I never thought of the narration being a narration, it sounded like i was listening to conversations. When you realise that the narrator is speaking from the perspective of one who is nearing the end of her life, all those tribulations are just what she has to comfort her. Margaret of Anjou was married to King Henry VI of England. When Henry was grasped by bouts of insanity that made him an unsuitable ruler for England, Margaret stepped in to take his place. Her motivation at that point of time was to keep the crown safe for her son, Edward of Westminster. I guess it would have been difficult to predict that this woman would some day become one of the most important player in the War of Roses. 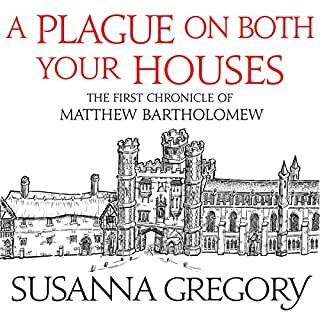 In this book Susan Higginbotham tells us Margaret’s story, a view-point which has been some what if not completely lacking in historical fiction. 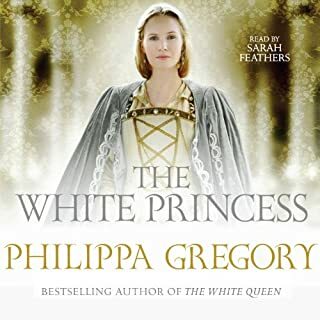 Margaret has often been portrayed in various historical fiction as a supporting character, mostly painted in a negative shade, hence a story that is told from her point of view only makes the book more interesting. Higginbotham’s Margret is a strong-willed, intelligent woman who does what she feels is in the best interest of her family. Her motives and actions seem to be justified when we look at things from her perspective. The war between Lancastrians and Yorkists which forms the backdrop and a major portion of the book is done very well. 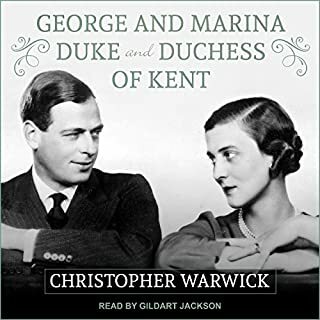 Thoughts on the audio: The unabridged audio book version was narrated by Nicole Quinn. My fondness for this book is in parts due to my liking the way it was narrated. Nicole Quinn has done a great job and her vocal impression for Margret of Anjou through her adolescence to adulthood is wonderful. The voice of a teenager in love transitions to that of a confident woman in the seat of power and culminates with the wizened lady who has seen it all and survived to tell the tale. Each stage has been done with great finesse. I guess a good narrator only makes the book more of a joy to listen to! 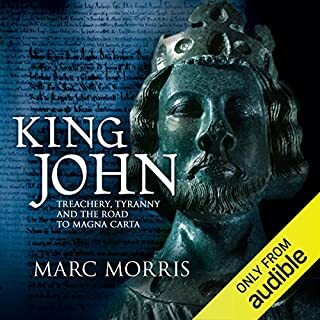 I however feel, the length of the audio book might deter a few to venture in but let me assure you, once invested in to this book, you will hardly worry about length or any such. If you are like me and enjoy historical fiction, you shouldn’t miss out on this great take on War of the Roses. Work keeps me busy these days and the idea of sitting with a book and especially historical fiction with all the names, places and dates isn’t something I look forward to but in the form of an audio book I can see myself listening to a lot more of my historical fiction favorite authors and not complain! A well researched and a highly engaging story! Most of what I've read about the War of the Roses has been from the point of view of the Yorkists. 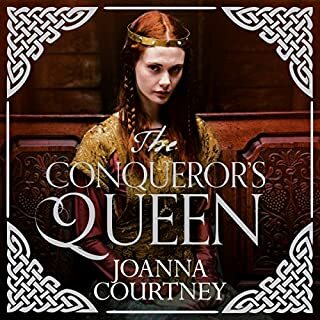 The Queen of Last Hopes narrates the story from the Lancastrian queen Margaret of Anjou and it's quite different from the she-wolf that is portrayed in the Yorkist accounts. Higginbotham manages to make the reader care and sympathize with Margaret even tho she makes more than one mistake. Margaret's son, Edward who is also often portrayed as nothing but pure evil, is also given a less one dimensional personality. The story is told from Margaret, Henry VI, Edmund Beaufort, and Prince Edward's perspective. A less skilled writer would turn these many POVs into a mess, but in Higginbotham's book, it helps to tell the story, and give insight to the reader into the characters' minds and more importantly it does not feel as if they are all the same character. I plan to pick up more books from Higginbotham after having such a great experience with this story. There are many characters to voice in this book and Quinn does a superb job at voicing each one of them and making them different. However, I did find Margaret's voice and French accent sounded a bit to forced and it seemed too slow for my taste. There are a couple of humorous moments in the book, and Quinn performance brings them to life providing a couple of chuckles in an otherwise quite serious reading. Overall, I enjoyed the performance, but I found the pacing a bit off. 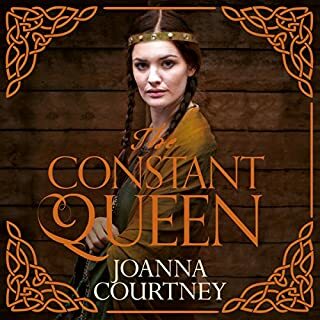 The Queen of Last Hopes tells the story of Margaret of Anjou and the reign of Henry VI from the rarely heard perspective of the Lancastrians. 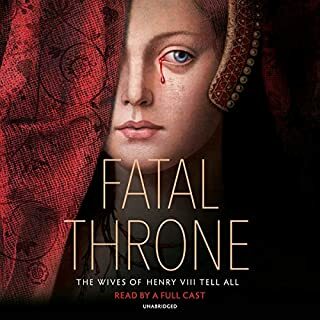 I think nearly every historical novel I've read that takes place during the reign of Henry VI has demonized Margaret of Anjou so this was such a new and refreshing viewpoint that it read like a story I was completely unfamiliar with. From the beginning, Margaret seemed like such a weak and foolish woman, so quick to naively trust and ally with people without fully considering possible long term consequences. However, throughout the story, I began to sympathize with her even when I didn't always agree or when I knew she was making fatal errors in judgment. Susan Higginbotham did such a wonderful job of humanizing this queen who so many have portrayed as being a ruthless queen responsible for the deaths of thousands in her incessant wars. Several times, near the end, I was moved to tears by the narration of what I already knew was going to happen. 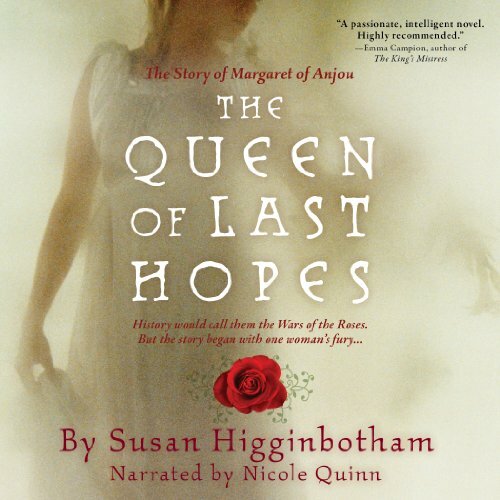 I listened to The Queen of Last Hopes on audio from Audible narrated by Nicole Quinn. This is the first audio narration I've listened to from Quinn but hopefully it will not be the last. 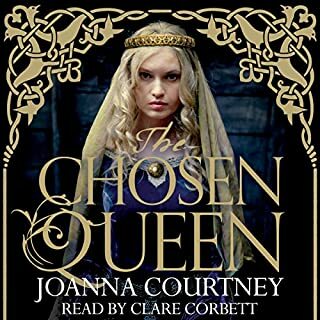 Quinn does a phenomenal job with the multiple perspectives, accents, and personalities in The Queen of Last Hopes, allowing the listener to fully immerse themselves in this era of court intrigue, scandal, war, and betrayal. Her stellar performance enhanced a story that was already incredible. 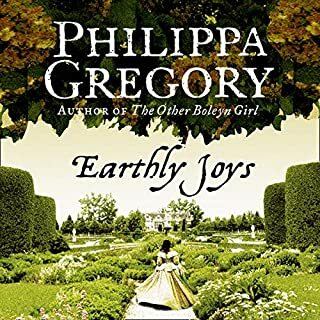 I haven't yet read any of Higginbotham's previous novels, but I would compare her writing favorably with some of my favorite authors in this genre such as Alison Weir and Jean Plaidy as far as historical detail. I think where Higginbotham really excels is in writing historical figures in a way that allows a reader to connect to them. I found each of the characters to be fully realized and with all too human flaws and feelings. 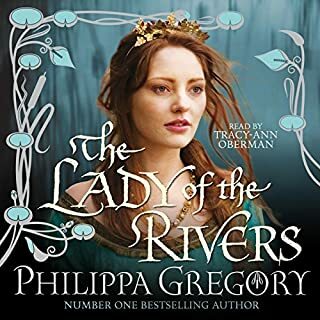 I am looking forward to enjoying more of Higginbotham's historical novels and would highly recommend The Queen of Last Hopes to all fans of historical fiction. Miss Higginbotham has captured my heart and mind once again. She tells a story that keeps you interested and you hate to put it down, Miss Quinn's narration of the book is outstanding. I would recommend this book to anyone who enjoys historic romance. 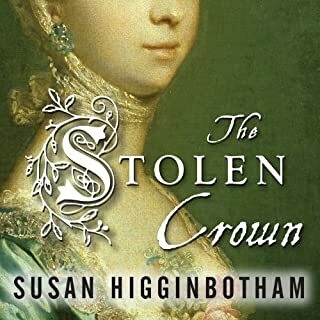 I'd just finished Susan Higginbotham's "The Stolen Crown" which was excellent. I immediately downloaded this book, thinking I'd continue the magic. WRONG!!! The story is well-written with great historical points. 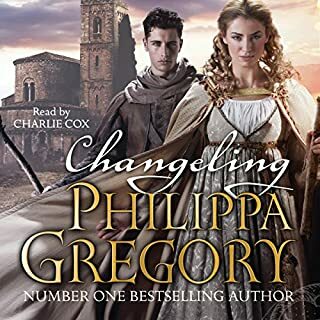 But, where her other book uses a female and male narrator (the incomparable John Lee), this one has a female trying to sound like a man. Instead she sounds more like a frog with laryngitis! The irony is that I'd returned this book in August for the same reason - I couldn't stand her voice. But I listen to so many books that I didn't realize that I hated this audiobook once before until I tried to get through the first chapter. I'd much rather READ this one! What a pity, I just cant continue, the narration is so irritating. I'm very disappointed, I am going to look out for the book and read it myself. Most of the books I have read about the War of the Roses are written from the York perspective. 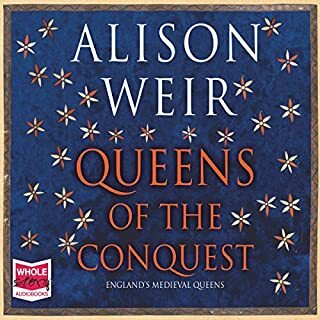 In these books Margaret of Anjou is portrayed as on of the She Wolves of England, the rapacious queen who brutalizes the Plantagenets and the people. This book portrays the same story from Margaret's perspective. It is an interesting and compelling story and well worth the time spent reading. All of these novels are about real people. People who were multifaceted and lived hundreds of years ago. I wonder if just as the story of Richard III was distorted and propagandized, the story of Margaret of Anjou was as well. After all, history is written by the winners. In Richard's case, the Tudors, in Margaret's the Plantagenets. We can never really know the truth of who these people really were, but it is interesting to read different perspectives, knowing the truth is in there somewhere. Would you try another book from Susan Higginbotham and/or Nicole Quinn? Yes, if it evolved midieavel England, I prefer novels based on fact. What could Susan Higginbotham have done to make this a more enjoyable book for you? Let Ealenore tell her story, it's seemed to be more about Lord Suffic or De LaPol. They also left out Jaquetta Woodville, which was known to be her primary lady in waiting. Yet, I haven't been able to get to far I to the book, because the narrator. Her voice is all wrong for the genre. Could you see The Queen of Last Hopes being made into a movie or a TV series? Who should the stars be?